There are few places where inspiration and art are so fluidly connected as in the former Chelsea loft of Hunt Slonem. Here, in some 15,000 square feet, he worked, occasionally slept and often entertained. And while he is best known as a painter, it is difficult to find a single title to aptly describe this talented polymath. 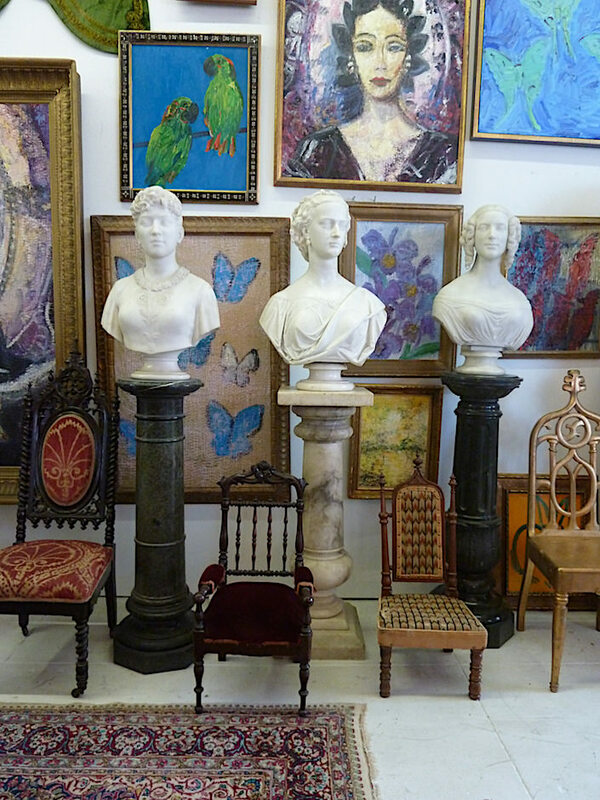 A passionate collector of both inanimate and living things, he amasses everything from historic houses, Gothic furniture (he has an in-house restorer) to busts to a rather large flock of rescued exotic birds. Several seasons ago, Susanna and I visited Hunt and were likely the last people to document the loft. 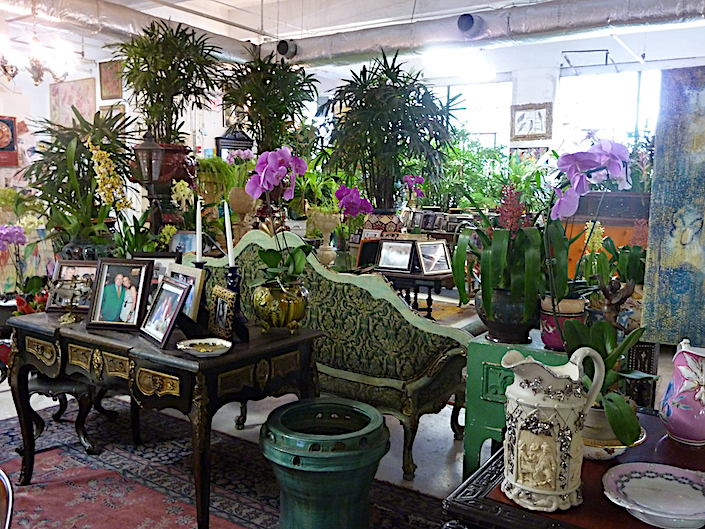 In celebration of his new book, Birds, join us for a tour of his eclectic space. In Slonem’s world, nature and art are inexorably entwined as are fine and decorative art. His painting is dependent on surrounding himself with the things he loves, both as creative inspiration and spiritual nourishment. From his Victorian style conservatory to his vast assemblages of chairs, china, hats and more, he knows about the provenance of almost all he collects. It isn’t merely the act of acquisition but a passion for creating an almost otherworldly environment where, like in his paintings, multiples rule. 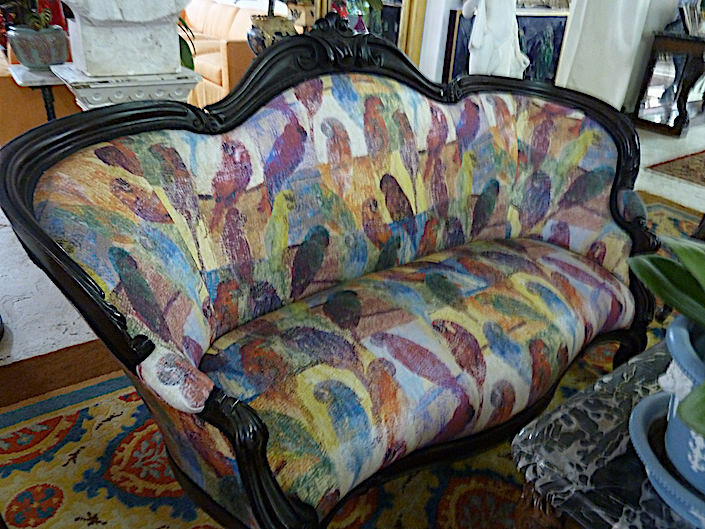 And like rescuing exotic birds, Slonem loves to rescue “problem furniture,” often unwanted or out of fashion pieces that he lovingly reupholsters in bright colors and patterns. When he couldn’t find enough fabrics he loved (or afford) he partnered with Lee Jofa for a collection featuring versions of his signature rabbits, birds, butterflies and more. Below his Bayou Casino on an antique settee. 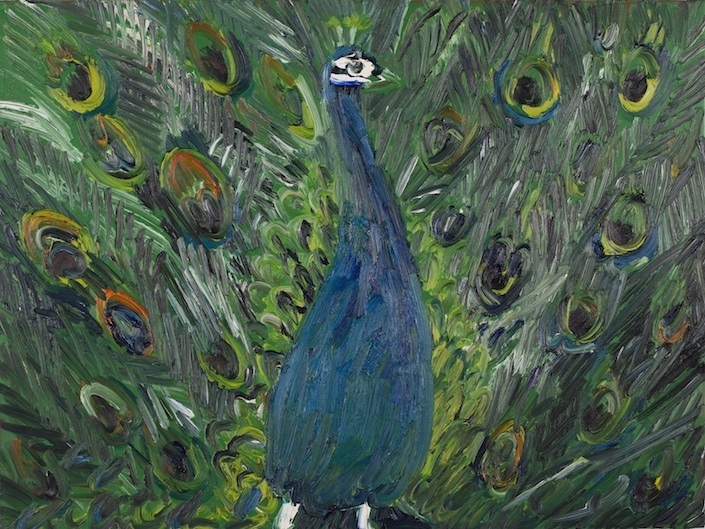 celebrates his passion for and prolific paintings of his feathered subjects. 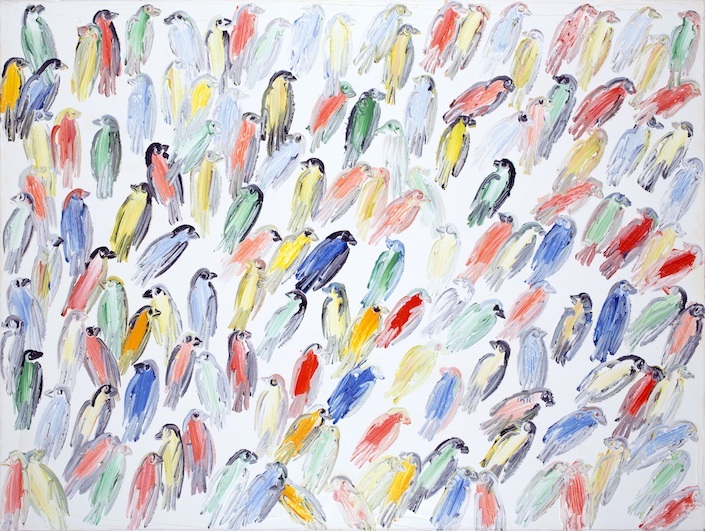 Having had aviaries for the past 30 years, his studio and life has been rife with subjects – each with their own colorful plumage and personality. 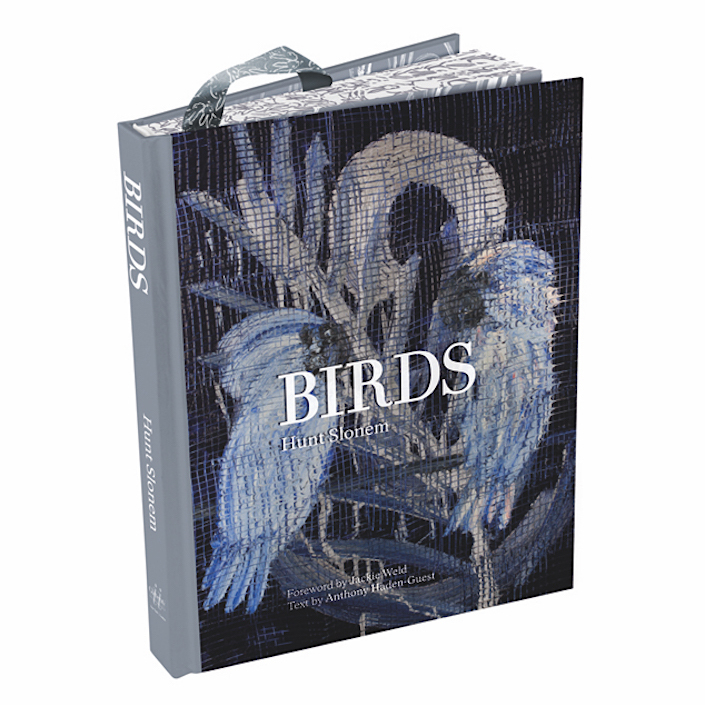 For those of us who are fans but not able to purchase Slonem’s work, Birds is the next best thing. Within this lavish edition you’ll find over 180 of his aviary portraits, above and below. So thank you Hunt for welcoming us into your exotic world. It was an inspiring and insightful day! All photos by Stacey Bewkes for Quintessence. This entry posted in art, At Home with, design, furniture, interior design, Quintessence video series, Stylish Shopping. 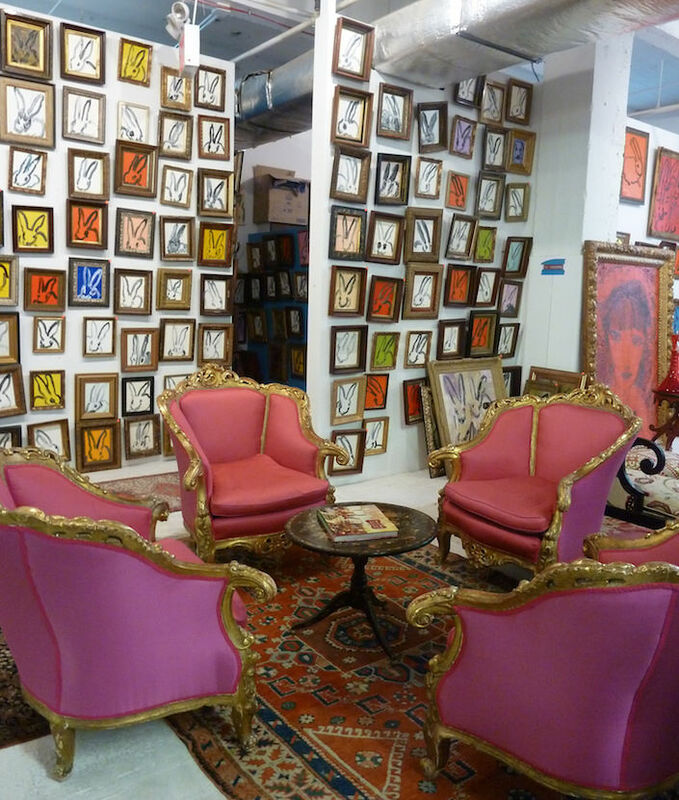 Entry Tags: art, At Home with, Collecting, Furniture, Hunt Slonem, Video Bookmark the permalink. His finches are sprawled over a wall in my Sconset home. Throw open the doors and the art merges with the sounds real birds. The room becomes a giant aviary. Just wonderful. A rare human being, with an inspiring spirit and an inquiring mind. What a treat to have hosted him him in my home last summer. Thank you for sharing Hunt’s home with us. I love his work and have his bunny wallpaper in my kitchen. It makes me smile everyday!